Next to the panorama you can admire from Piazzale Michelangelo, at a short distance from the David, the symbol of Florence stands out. In the Garden of the Iris, in fact, are grown more than 1500 varieties of the flower that since 1251 has become the symbol of the city. 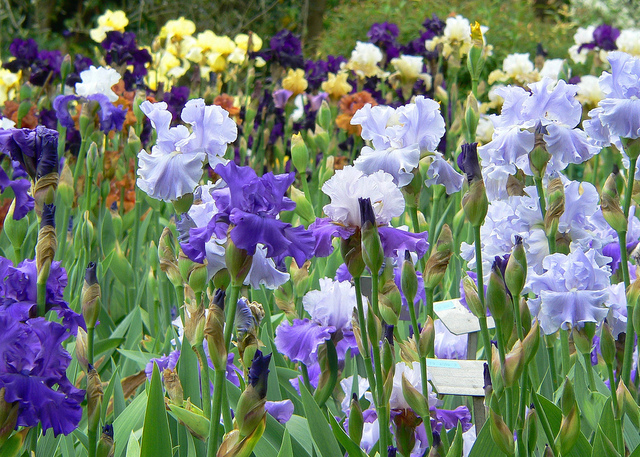 The varieties of the Iris, coming from every part of the world, are looked after by the Italian Iris society, owner of the garden and organizer every year of the competition that for over half a century has been bestowing prizes for the best and most different types as well as the newest and most original varieties. 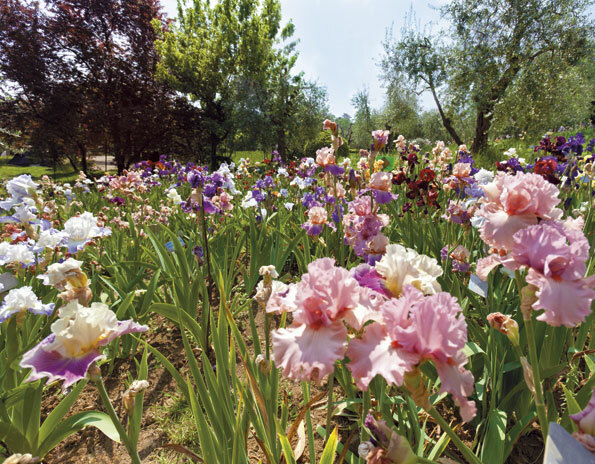 Located on the eastern side of Piazzale Michelangelo hill, the garden reproduces the typical environment of a hilly olive grove, with meadows and beds of irises and a lake for the cultivation of aquatic species, like Japanese and Louisiana varieties. The different varieties of flowers are grouped in beds and labeled with their name. There are bearded irises as well as dwarfs and spontaneous irises and many ancient species. Next to the flowers symbol of Florence, in the garden there are different kinds of roses and trees, which make it the ideal setting for an early-spring romantic stroll. Romantic like the origin of the scientific name of the Iris, which, likely because of its lively and vivid colors gets its origin from the Goddess Iris, the messenger of the Gods, who created the rainbow out of her scarf. You can visit the garden in May, when the iris bloom. 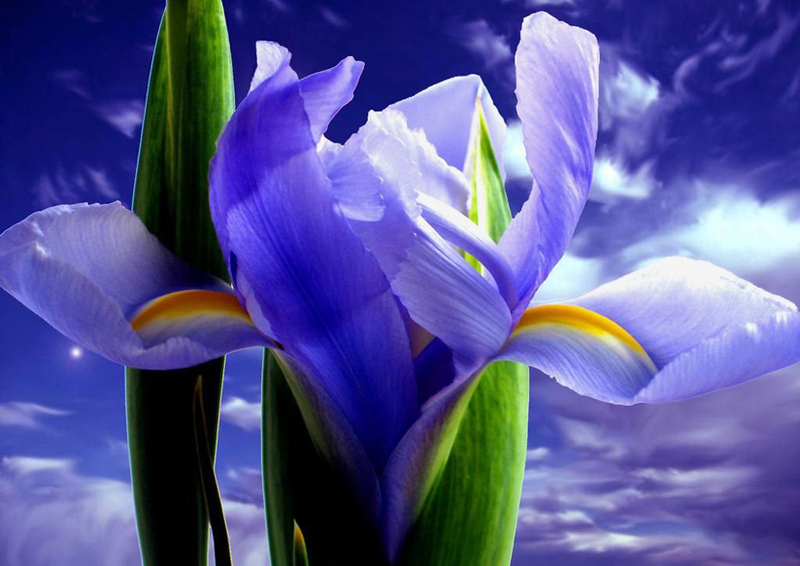 The Iris or Lily has been for centuries the symbol of Florence. In Tuscan, the flower is called„giaggiolo“ (from the Latin gladius=sword) due to the swordlike structure of the leaves. It is not by chance that it can be found stylized in many decorations in the city and was also used as an effigy on the first silver coins of the Florentine Republic of the XII century and later, on the other side of Saint John, in the more precious gold florin. The choice behind this particular botanical species is rather evident: in the past, in fact, a white and blue variety of Iris, named Alba fiorentina, was growing luxuriously and in great amount. It was so abundant that it climbed on the city walls and it was the distinctive sign of the flora of the city. From a white flower on a red background, a switch was made to the red lily of today on a white background. The lily, or more correctly, the Iris, is also pictured in another important symbol of the city: the Marzocco, the crouching lion holding with its left paw the shield with the lily, which was considered by the people of Florence, the lucky mascot of the Republic. Gallery | This entry was posted in April 2019, Events in Florence, May 2019, Uncategorized. Bookmark the permalink.